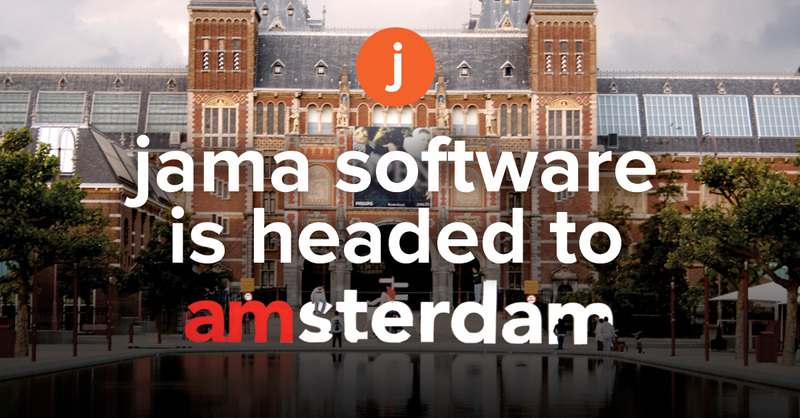 Today’s announcement of our European headquarters in Amsterdam, The Netherlands, marks a milestone for Jama Software and our customers around the globe. Since our early days, Jama Software has served a global customer base. Opening this new headquarters further reflects our commitment to serving innovators around the world, and increasing the level of local support and service to a growing number of customers developing new products in Europe. In recent years, we grew our support capabilities, adding Europe-based, multi-lingual team members to better meet our customers’ needs. Spearheading this next step is Jama Software’s co-founder Eric Winquist, who will oversee our European efforts from The Netherlands. Eric has worked with many of our European customers over the years and I’m glad they’ll be in his capable hands. Additionally, our fiscal year 2017 closed on April 30, and it was one of exponential growth for Jama Software. More than 100 new companies globally started using our product development platform and more than 250 existing customers expanded use of Jama Software to new teams and divisions. That growth has helped fuel our overseas expansion. As we charge into our new fiscal year, we’re focused on modernizing, digitizing, and transforming complex product development for our customers. We’re inspired by the amazing technology customers like Ekso Bionics, Spaceflight Industries, Zoll LifeVest, and NASA are developing. The year ahead holds lots of exciting things for Jama Software and we look forward to continuing this journey with the Jama Nation.